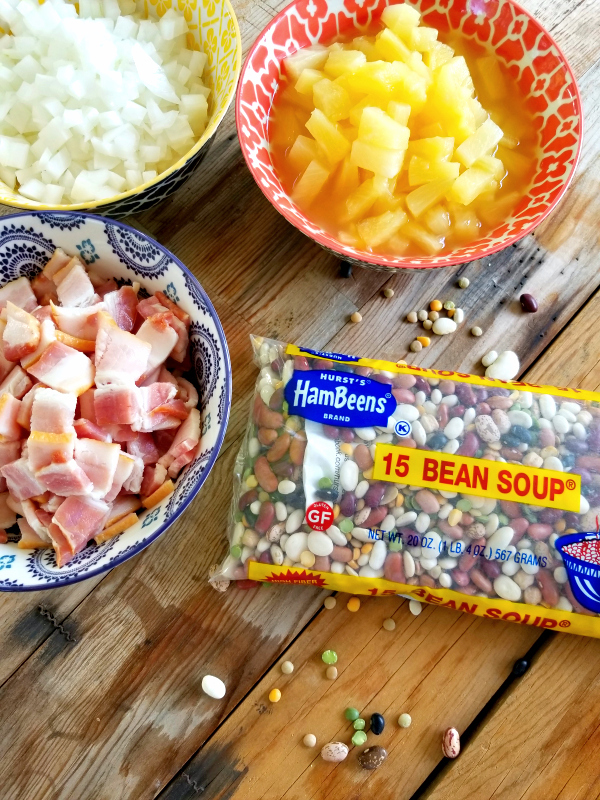 A baked beans recipe with a Hawaiian twist made with sweet pineapple and smoky bacon or ham! I’m all about some baked beans. 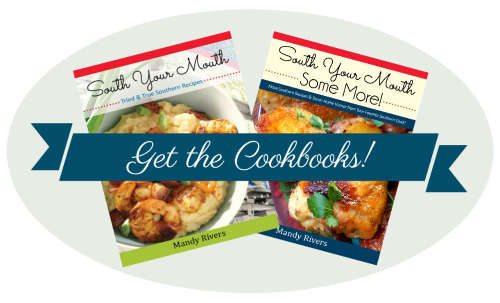 I’ve got several go-to recipes I pull out depending on the occasion. 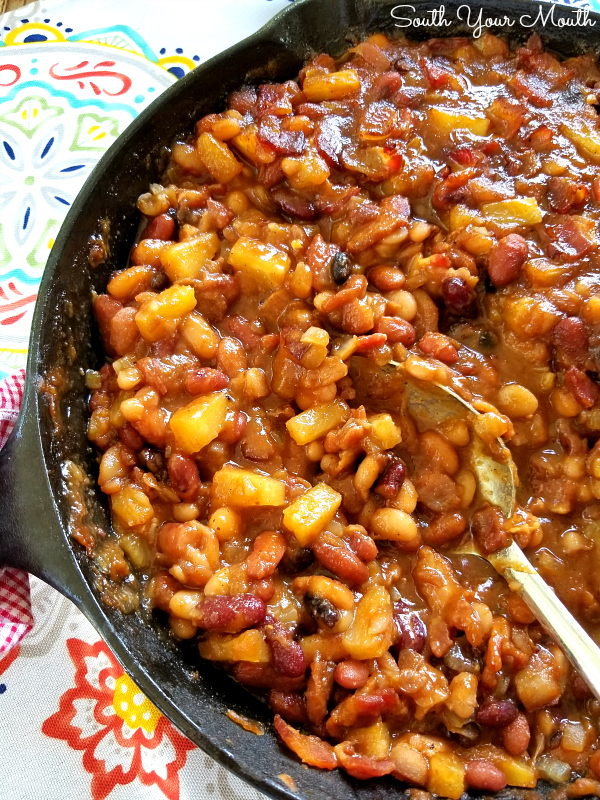 If I’ve got time to love on them, I like to make Boston Baked Beans (from scratch!). 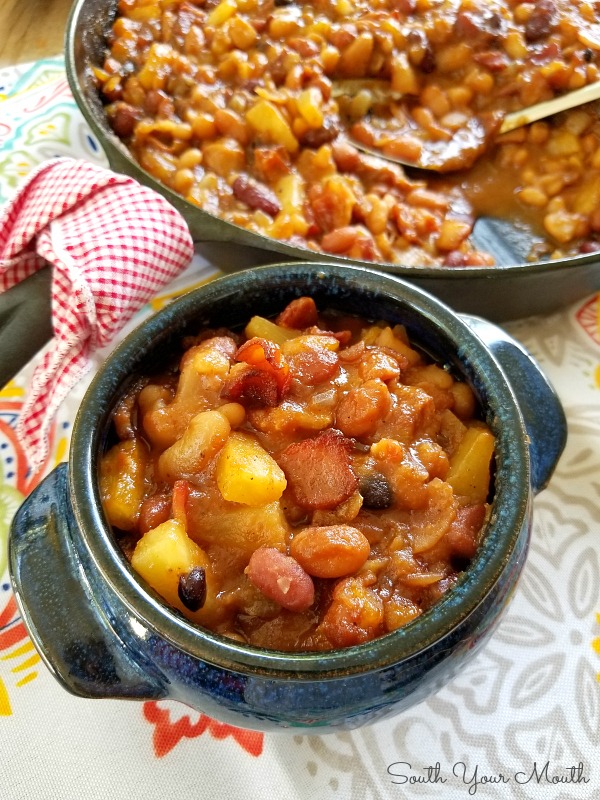 If I’m looking for something quick and easy, I make my Southern-Style Baked Beans (with a bacon-studded topping) and when I really want to put on the dog, I make Three Meat Crock Pot Cowboy Beans. 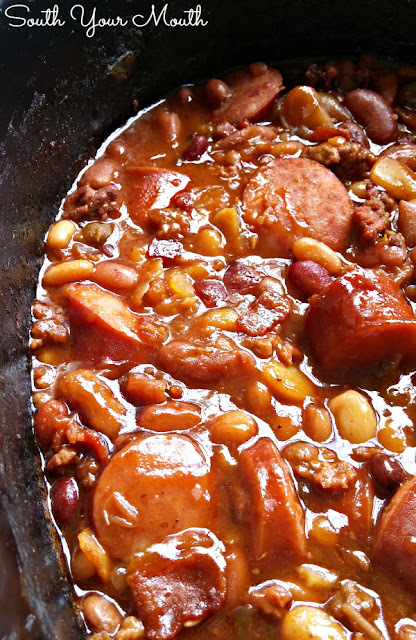 A barbeque, cook-out or pig-pickin’ just isn’t the same without a good ol’ pot of beans! 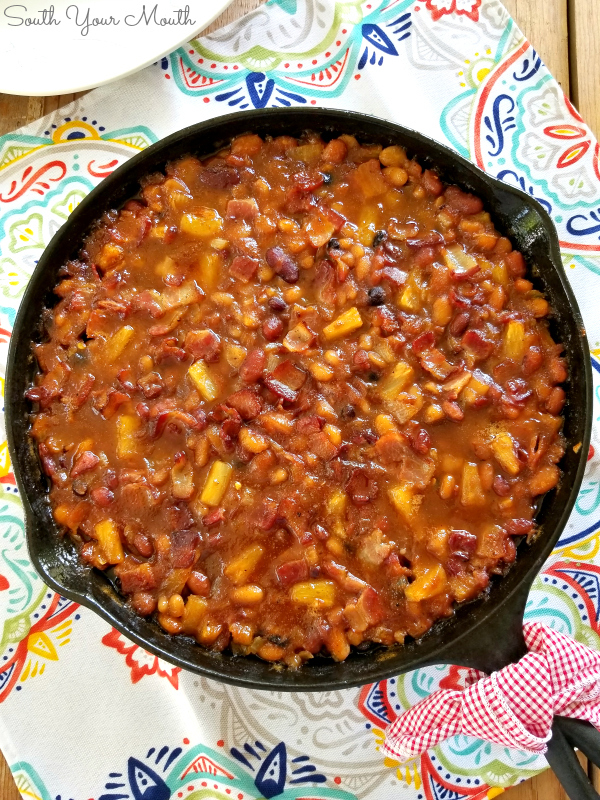 Every time I share one of my baked beans recipes, people always tell me I need to try making them with pineapple – that they’re FANTASTIC with it! I’d never run across any baked beans with pineapple before but it sounded good to me so I thought it was about time I tried it! And y’all! Oh my goodness! Y’ALL!! I’m so glad I listened because these were so delicious! 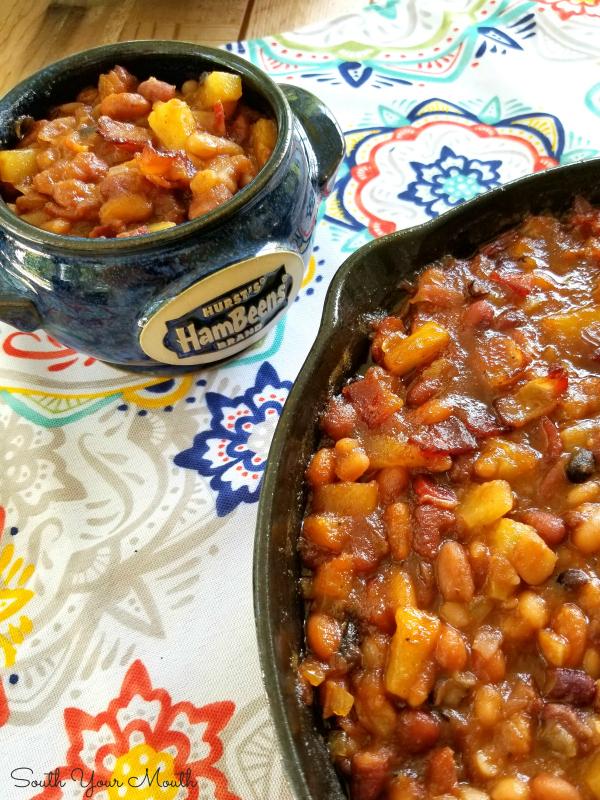 Since baked beans (well, southern-style baked beans, anyway) are always made with brown sugar (and/or molasses) it just makes sense to have some sweet pineapple in there too. And since I always use some sort of smoked meat with mine, of course pineapple would taste great with that too! I was going to make these with a ham bone and I could have sworn I had one in the freezer but I couldn’t find that sucker anywhere. I did manage to clean out my freezer as a result of my maniacal search which turned up a pack of bacon so it worked out anyway. I’d still love to make these with ham sometime too though. Sort of a Hawaiian Baked Beans because of the ham and pineapple combination. And you can never go wrong cooking down a ham bone in a pot of beans. I couldn’t decide whether to use great northern beans or a 15-bean blend but I knew I wanted to use one of the Hurst’s HamBeens varieties since they all come with that glorious ham flavoring packet. I went with the 15 Bean Soup since I love love LOVE all the variety of the beans (and because I always have a stash in the pantry). On that note, I don’t know if I’m subliminally becoming some sort of doomsday prepper or what but there’s something comforting knowing I have a stock of dried goods in the cupboard. Or maybe it goes back to the days of the recession when we lived off of beans and rice. I dunno. But you can bet your bottom there will always be a dozen bags of Hurst’s beans and a 5-pound bag of rice in my pantry! Add beans and water to a large pot (set seasoning packet aside) then bring to a slow boil. Reduce heat to medium-low then cook beans for one hour. Add seasoning packet and continue cooking beans for 45 minutes to an hour (or until beans are tender). Drain beans then add to a mixing bowl. While beans are cooking, cut bacon into small pieces then cook in a skillet until golden brown. Spoon bacon from skillet then add to the beans in the mixing bowl. Add onion to bacon drippings then sauté until tender and translucent. Add onion and pan drippings to the mixing bowl with the beans and bacon. Add pineapple (with syrup) and remaining ingredients to a small mixing bowl then stir until combined. Taste for seasoning then add more salt and pepper to taste. Add mixture to the beans then gently stir to combine. 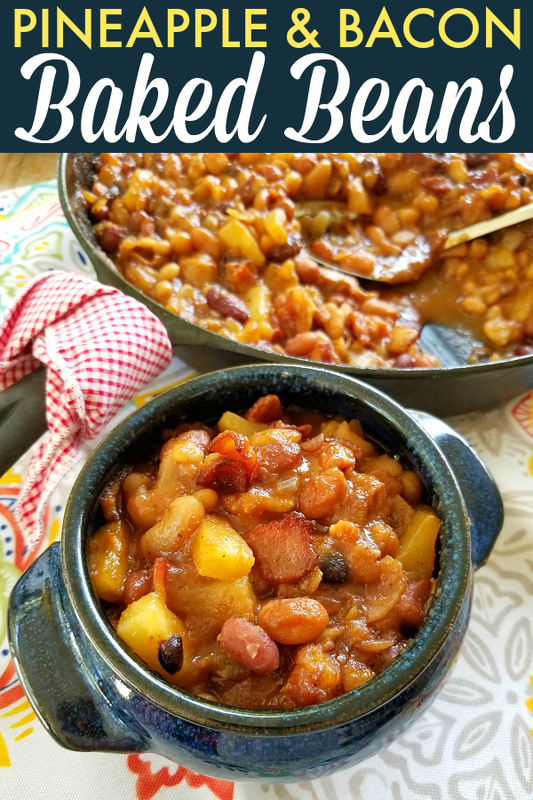 Pour beans into a cast iron skillet or 13x9 baking dish then bake at 350 degrees, uncovered, for 30-40 minutes or until the top of the beans starts to caramelize. Diced ham would be amazing in this too! Diced green peppers and/or jalapenos would also be great additions! 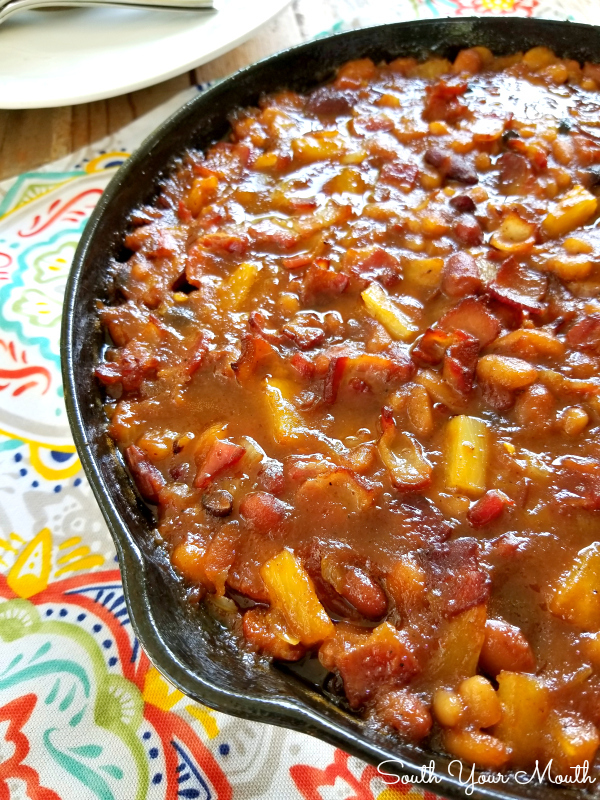 I’m fairly certain you could make this in the crock pot but I got to tell ya, those crispy, caramelized bits of bacon and pineapple you get from baking this are pure-T gold. To make in the crock pot, cook the beans until tender (4-6 hrs on high), drain beans then add everything to the crock pot then cook for 1-2 hours on high. If you like this recipe, you will LOVE this one! Backed beans with pineapple? I'm definitely making this! Yep, pineapple is 'backing' those beans! (Sorry Vicki, I couldn't resist!) These look amazing...making my mouth water!